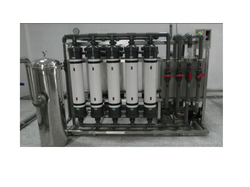 We are leading manufacturer of Ultra Filtration System and our product is made up of good quality. Designed in conformation with the safety standards, these ultra filtration units are used to obtain pure RO to be used for dialysis. Suitable for perfect drinking water filtration.